Our customer is a top motor manufacturing company based in Germany. 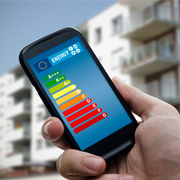 The company required an energy calculator through which, they could monitor the energy consumed, so as to figure out the core areas where they could save on energy. They wanted our software development team to mandatorily incorporate the following features in their calculating device. The tool that the client had asked us for was a unique calculator and the first-of-its kind in many ways. The company not only wanted to demonstrate to its customers how energy efficient their motors were, but also wanted the application to be available in a web-based format. With the user-friendly web application, they wanted their customers to be able to easily compare one motor with another and make an accurate choice of a motor with better performance and energy-saving features. What made things more challenging was that the client did not have a concrete idea of how they wanted things to be done; nor could they provide us with a reference. We were left therefore, with a task to build an innovative energy-calculating device from scratch with minimal inputs from the client. However, our team took this up as a challenge and came up with an innovative and effective energy-saving solution. Since there was only limited information available to base our project on, we made sure we understood every bit of it with enormous precision by scheduling meetings with the customer. Following the requirements analysis, we executed the following steps. Since, we developed the calculator with a customizable interface, the customer's users could easily choose from a variety of RPM level settings. This empowered their customers to get an accurate estimate of how much power a given motor would consume even before they actually used it. Our client was very pleased with the energy-saving web based device that we built. It enabled the company to save on a lot of resources that went into making operational calculations manually. They specifically applauded us for having accomplished the web based interface of the energy-saving calculator. The client immediately brought the tool into their everyday use by allowing their customers to assess the motor that would suit them the best. The user-friendliness of the gadget made it incredibly easy for everyone to use. If you want to outsource a similar project to Outsource2india, or wish to hire our professionals for custom software development, get in touch with our team today. Our outsourcing solutions can give your company a competitive edge.